If you're familiar with Seth Smith from his Youtube Channel, you're probably familiar with his course - Advance Ecommerce Academy. I am going to take you into the course so you can have a closer look so let's begin this review. First, as of this writing, Seth is somewhat new to the game as his videos have been around for just about a year. He's shy of 1500 subscribers on his channel which isn't a lot. Is he cashing in on the course game just to make a quick buck or is it legit? One thing I can say is that he's very good on camera, knows how to captivate your attention and also gives some good advice. It's nothing that I haven't heard before though from other Youtubers. Maybe you like his style. The course is marketed to beginners with a price tag of $1997. WTF. 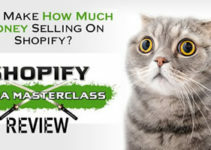 I paid just a little more than that for Ecom Success Academy but that was from Adrian Morrison who has been around a lot longer and has a massive following. Anyway, let's bust into this course review and see what this is all about. The course has content for 9 weeks. Whether this gets updated remains to be seen. It starts off with a welcome video, an overview of the course and you get to learn a bit more about Seth himself. Nice. A small module with just 3 videos that discuss general vs niche type stores and then gets into product research for both. Week 2 has a lot more content so you're probably going to want to take some notes. He does push a tool called "Rocketmessage" and you've probably seen him wear swag on his channel with the same name. I'm not sure if he owns this service but will look into it. It's irrelevant right now anway for the purposes of this review. Use this service at your own risk as there have been some reported Facebook bans for using this software. As I mentioned, there's a lot of videos in this section and I will summarize most of them below so you get an idea. There's about 25 videos in this section on Facebook ads. That may seem like a lot, but it's not as comprehensive as other dropshipping courses I recommend. Not to be missed with ecom is Email Marketing so glad to see this is included with his training. You'll learn the basics plus how to build relationships, email marketing strategies to sell more, collecting emails and so on. You'll also learn how to set up Klaviyo. Klaviyo is a good platform and you can start with a free plan if you're new, but expect that price to skyrocket as you gain more subscribers. For ecom I prefer Mailchimp but do check out the pricing between these two platforms before committing to any. There's a few videos on setting up Klaviyo so if you're going to go with this service then great, if not, you can skip these. Here you will learn about Instagram influencer basics in regards to posting, hashtags, engagement and scheduling. Here's where Seth gets into the actual ads. It's a short module but you'll get an intro to Insta ads, launching your first Ad, creating video stories and launching Insta Stories Ads. Advanced conversion optimization - What if they don't add to cart? Just some simple videos on how to outsource your customer support and fulfillment. The end. In eCom, Branding is SO important and obviously growth. In this week you will learn how to brand your most popular items, set up fulfillment, print on demand, partnering with Influencers, building relationships & exposure and if you so decide - how to sell your store for lots of moula. Seth throws you a bonus here if you're looking to sell some high ticket items. He provides a list of drop shippers you can use should you feel so inclined. The big question is, is this course worth $1997? Based on my review so far (if you read it all) you're probably going to guess that I'm going to say no. If this course was marked down substantially, i'd probably say go for it but even then I still think you'd be at a disadvantage compared to my number 1 recommendation which is eCom Elites. Seth's course does not have a section on Google Ads, chat bots, organic traffic through SEO or social media. Evidently eCom Elites does and you can check out my review here. 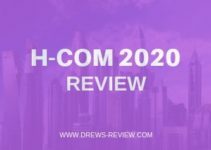 If you are looking to get into ecom, you need to know that you are going to have to spend some money. I'd much rather you invest in a course that isn't going to break your bank so you won't have any buyers remorse. Plus, the money you save can be put towards Facebook/Google Ads. 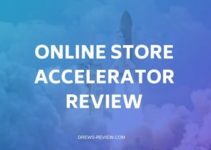 You'll need to invest in paid traffic for eCom so if this model appeals to you, go ahead with my recommendation instead. That's all I have to say! Not as substantial as other lower priced courses but not a disaster either. The price tag does not reflect the quality/substance of this course.